Packing and moving are in full swing around our house right now. We are moving out of our rental and onto to bigger and better things for our family of six. The last time that we moved, I was in my third trimester (you can read all about that here) of our twin pregnancy. Even not pregnant, moving is still one of my least favorite things to do. Preparing kids for a move can be an adventure, especially depending on their ages and what they can understand about moving. Our children are on the fence about what is going on. My older ones total get it and ask a bunch of questions, while the twins just want to play in the boxes and they could care less about what is going on. I have figured out some ways to make the packing and moving process a little bit easier for young kids. When it comes to packing, let your kids help. I made the mistake of trying to leave them out of this part in the beginning of this process, and it did not go over well. They really wanted to help tape of the boxes and help by putting themselves things in to them. It actually made it much more fun this way for everyone involved. 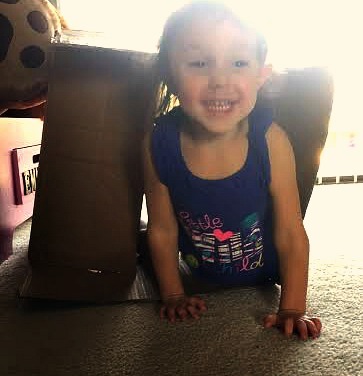 My oldest, who is five, really loves to be the helper, and being able to put her own things in her boxes and then write her name on the outside made it a much smoother process. Take them with you to the new place if possible. In between the visits, walk-through, and all of the paper signings, our girls have had ample visits to our new house when their was nothing in it. I think this allows them to get a feel for where they will soon be living and prevents having them move all of their things to some place they have never seen before. We let our girls run around the yard, showed them “their rooms”, and kept calling it “their new house”. All of this seemed to get them pretty excited about this fun new place that was going to be “home”. Let them do things to remember their old house. 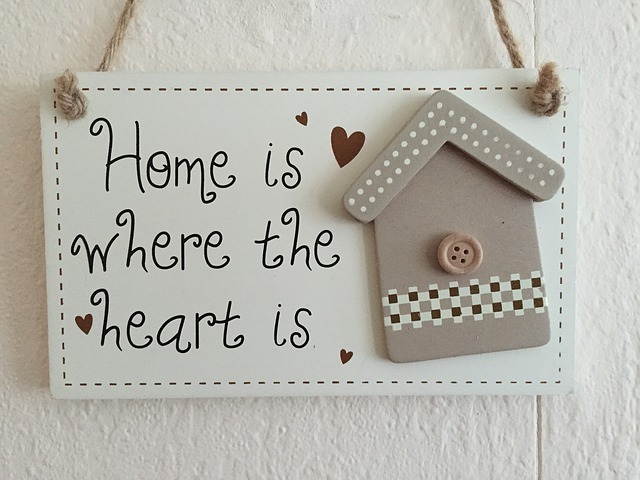 Our twins have only ever known the home that we live in now, and our older two were only 3 and 2 when we moved here so this has been home for a lot of her life as well. Doing things like drawing pictures with them of their old house and old room will help them to part with it a little bit easier. It will also make leaving it a happier experience because they will have memories to take with them to the new place. How do your kids handle moving? 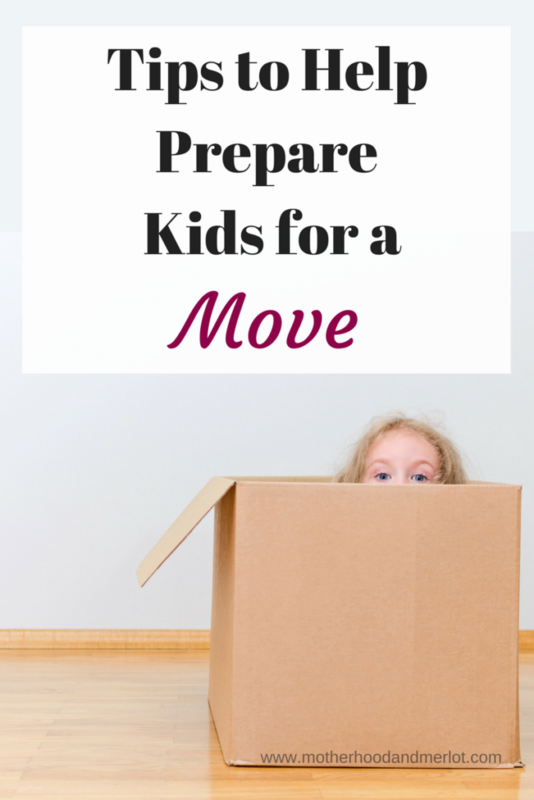 What are some other things you would add to help kids get prepared for a move? We have moved so many times with Hudson that he just got used to it. We never really even prepped him for it! Hopefully we stay put in this house for awhile since I HATE moving!! (who doesnt?) Congrats on your new home!!! thanks so much for sharing- I wish I had this in December… My sister moved house at 8 months and j felt helpless with my advice. I understand that completely! It’s really hard for families and kids to make big moves, especially if it is not something they have done before or do very often. Thesr are great ideas, Joanna! Although we just moved last summer, my husband job will require us to move in about 5 years so I will need this in the (distant) future ! Hoping for an easy transition for your family ! I think these could be used with long and short distance moves so I hope that they help you when you all have to move again! We moved when my twins were almost 2 and it was a surprisingly easy transition. It helped that we only moved a mile away and they had been to the house multiple times before we moved in. Great article! It really does! It’s one of my least favorite things to do. My kids have never had to move but we are thinking about it. You are my third blogging friend that is in the process of moving or has moved. Great advice. Congrats on the move! I moved a lot as a kid, and a lot of these tips really resonated with me! Oh my gosh– bless you heart, i cannot imagine doing a move right now. You are so brave! I am so excited for you and the arrival of these two precious babies!!! Aww thanks lady! I don’t think bravery has anything to do with it… more my obsessive need to have everything perfectly done and in place! These are such great tips! We moved recently and had taken the kids to the house before we moved in. They had fun that day as I guess they felt like they were part of the decision-making. Good luck on your move! These are great tips! Moving is so hard! Great tips! We have never moved, but if we do I will be using all this advice! We moved around this time last year and I had found out the day before that I was pregnant, with a beautiful “oops” baby. We had a buffer in between living with Nonni and Papa, which I think helped my little one’s cope. They got to hold onto their most special items and it felt like we were on vacation, but my oldest still shares memories. Congrats on your new home! Good luck with your new move! When we have moved we try to do it during the summer or vacation time to make it easier on the kid’s school year. Thanks for the tips. We will likely be moving later this year, and I definitely need to log these ideas away. The last time we moved was 6 years ago and my oldest two were toddlers. It wasn’t too bad. I let them help pack which moved things along faster. However they had more fun taking stuff out as I was packing behind my back. Moving can be so tough, especially if it’s a big move! Our last move was very emotional to my daughter, but she was so happy when we got to our new home. We moved with my kids when they were a bit younger. Luckily, it was within the same town, but it was still stressful. We tried to involve them as much as possible. We may be moving once in the coming years with kids. These are great tips! These are great tips. I feel that a lot of the frustration kids feel is because they aren’t prepared or don’t understand what is going on. So true! I can see the frustration in my kids during the whole process. These are such great tips! We move often and last time we had movers come pack everything! I love the idea of letting them do somethings to remember their old house. Great tips! I just love traveling, but it’s always hard to know exactly what to bring with you when it comes to kids. So, thanks for this post; it’s been really helpful. Hope to see more of these amazing articles.